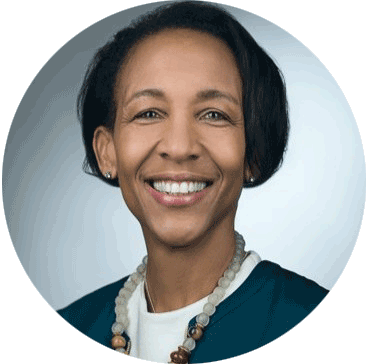 Hulya works at Thomson Reuters as Business Implementation and Strategy Manager, at the same time acting as Global C-chair within the Diversity & Inclusion global steering committee and driving the D&I agenda. Hulya is passionate about fostering and supporting women in advancing their career and following their ambitions. Hulya followed the traditional career path within the OWIT Lake Geneva organization. After VP Events she moved on to become Executive VP. At the OWIT Lake Geneva Annual General Meeting 2018 she was elected President and now she is looking forward to taking the organization to the next level, making the organization's vision and mission more distinguished and unique. Anca is passionate about strengthening women’s role in international business. Result-oriented and dynamic, she believes that through integrity, hard-work, collaboration and networking women can reach their highest potential. 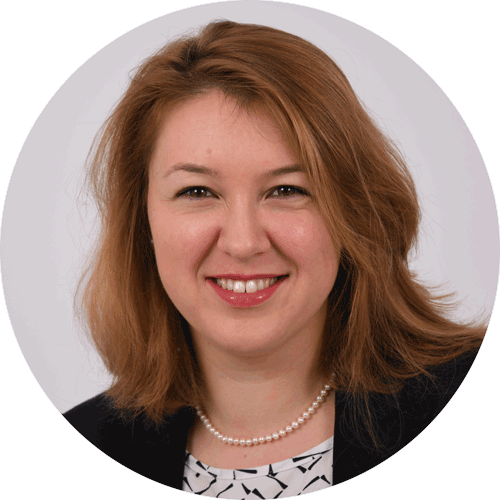 Anca works for the International Air Transport Association (IATA) as a Product Manager, Airline Management, Aviation Law & Environment training. She holds a master’s degree in International Affairs from the Graduate Institute of International and Development Studies (IHEID) Geneva, specializing in European Economy. 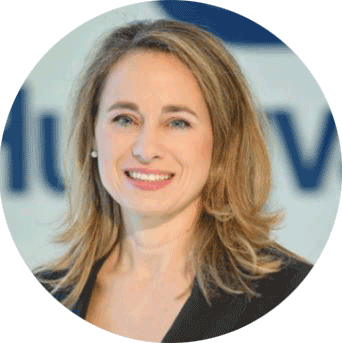 She joined OWIT Lake Geneva in 2015 and after her role as VP MarCom, she took over the Executive Vice President position working mainly on the organisation's strategy on how to bring value to our members and community. With 7 years of experience in the administrative field and 4 years in the sales, Iulia is our new volunteer for the events. The versatility she have shown in her various positions has allowed her to put into practice her sense of organization and communication, while respecting a quality objective. Dynamic, flexible and autonomous, she does not lack rigor and she adapts very easily. 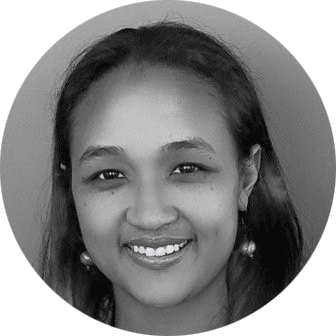 A senior international development advisor with 20+ years of expertise in both the public and private sectors, Nicole has focused her career in the areas of community-based entrepreneurship, SME growth and social enterprise development. As an Independent Development Adviser and Co-Founder of SheLeadsIt, a social enterprise focused on women’s economic empowerment since 2017, she has launched a Caribbean-wide innovative initiative supported by the International Telecommunications Union (ITU) for young women and girls in tech, as part of a woman led consortium; serves as Adviser to Ghana National Board for Small Scale Industries developing a specialized program for women’s economic empowerment; serves as Speaker at international conferences and is an Advisory Board Member of INDEGO Africa a social enterprise for artisans. Nicole holds a B.A. in Economics at the University of the West Indies, Jamaica and an M.A. in Regional Economic Development at Northeastern University, U.S.A. with training in Residential Interior Design at the Art Institute, U.S.A.
Clementine’s "raison d'être" is to create and support cross-cultural networks and connections. She started attending OWIT events in 2016 soon after moving to the Geneva area. She decided to join the board as VP of Partnership, because she feels passionately that engaging membership will build an even stronger support group for everyone. When she isn’t volunteering with OWIT, she’s consulting on communication strategy and facilitation skills. She holds a B.A. in Sociology and Anthropology from Principia College, U.S.A and an M.A. in Co-existence and Conflict from Heller School at Brandeis University, U.S.A.
Ruxandra joined OWIT Lake Geneva in 2018 as a volunteer and is committed to supporting the organization in the events and communications area. 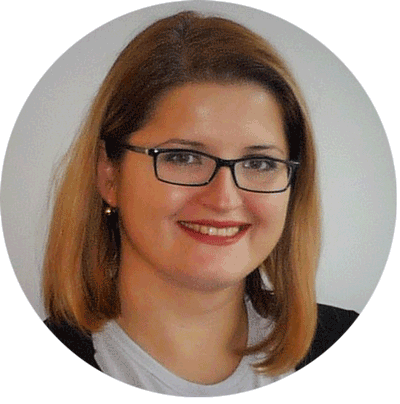 Ruxandra is an experienced learning professional with a passion for adult learning and human resources. She is also focused on increasing the women's role and presence in all business areas and the technology sector in particular. Passionate self-starter, she believes in achieving excellence only through hard work, integrity and full commitment to one's responsibilities. 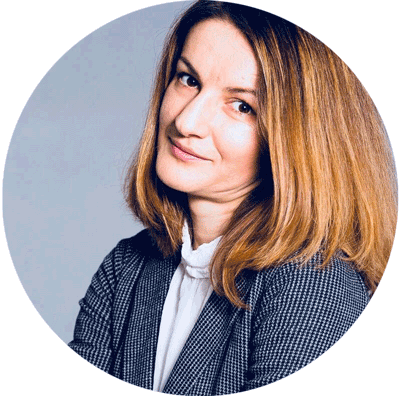 Ruxandra worked in the past 10 years as a senior learning professional, with companies like Expedia Lodging Partners, Thomson Reuters, HSBC and Caterpillar, and is currently refocusing on her career after a 2 year family relocation to Dubai. 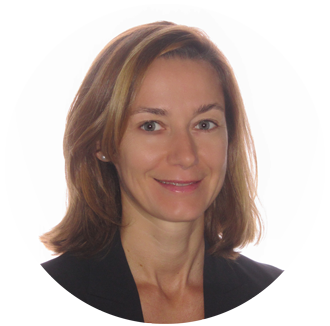 She holds an MBA from Solvay Business School in Brussels, with a focus on European Management. Ioanna joined the organization in 2018 as VP Treasury. Senior Business leader with 20+ years’ experience of driving business growth across sectors, utilising a distinctive blend of expertise in International Finance, HR & Sales leadership and Business transformation projects. She holds a MBA from EMLYON – France and a BSc. In Economics from the University of Economics – Piraeus, Greece. Actually she is studing in Geneva in order to obtain the Brevet de la Comptabilité et de Finance and explore the professional opportunities on Lake Geneva region. 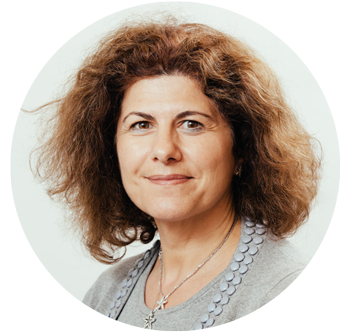 Ioanna is particularly interested in cooperating harmoniously & effectively, by developing a strong working rapport & positive working relationships and supports women in their career and development. 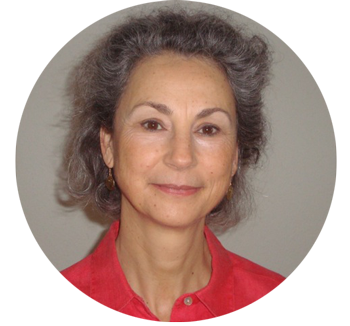 As a career counselor and Adult Educator, Chokoufeh has been working with women in Geneva for more than 20 years. She also specializes in Gender issues. Chokoufeh joined OWIT to be part of an international and dynamic network which offers women the opportunity to widen their social and professional horizons.The strength of OWIT resides in the diversity of its people who are willing to share their skills and knowledge.That is what she was looking for, and she found it at OWIT. Driven by a strong business mindset since childhood, Anila, a national level gymnast, was raised in Karachi, the cosmopolitan fashion hub of the East. Her zest for knowledge led her to become a Montessori International Educator, settled in Geneva, Switzerland. Alongside her teaching role as a Montessori educator Anila’s formative years were spent pursuing fashion styling consultancy in Switzerland. Her presence in the world of fashion and glamour in Europe led to SHENANNZ becoming an international fashion brand. Anila currently oversees the showcasing of SHENANNZ’s couture collection in Europe across fashion events and platforms such as Montreux Moda Switzerland, London Fashion week, House of iKons, Swiss Fashion week Manor, Vevey and Globus Geneva. She is currently an OWIT MNM ​coordinator​,​ Lausanne facilitating monthly network meetings. 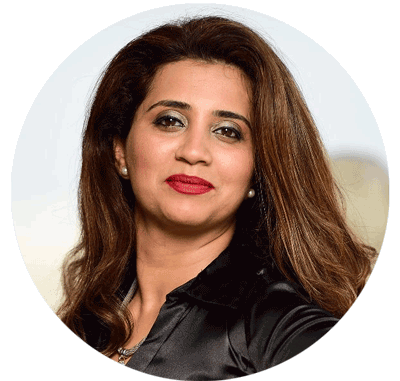 Anila and​ ​committed to emancipation and empowerment of women, ​and ​also ​accompanying mindful people wanting to contribute to a prosperous, just and sustainable​ ​civilisation​ ​through their daily work​. ​Her dream is to spread the message of gender equality through entrepreneurship and education, across the world. After several years of attending Lausanne MNMs, at the end of 2018, Kaisa became a MNM Coordinator. As these events have given her interesting and helpful exchanges, she wanted to support in keeping Lausanne MNMs up and running in order to enable a wonderful event for others to connect to. Through her own experience of living abroad, she understands the importance and significance of a good network, which can be considered as a local safety net. 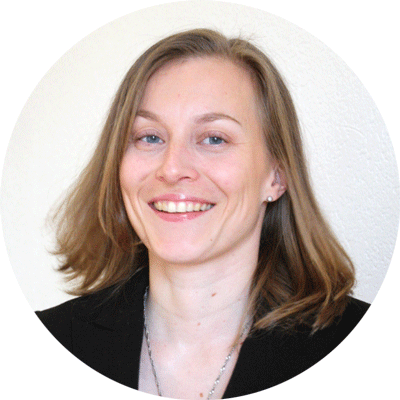 Originally from Finland and Swiss adoptive since 2010, Kaisa holds a master’s in International Business Management and has several years’ experience in sales and export operations. In her free time she loves to meet up with old and new friends, do some photography or simply go skiing/hiking in the beautiful Swiss nature. Nasya joined the organization in 2012 and after having volunteered in various roles became a President in May 2014. Nasya enjoys collaborating with multicultural and open-minded individuals who share the common goal to work together in a friendly and respectful manner to deliver positive result to society, in exchange of knowledge and showing trust to individual talents and inspirations. She holds a Master Degree in Economics from the University of Economics - Sofia, Bulgaria and an Executive MBA from the IE Business School - Madrid, Spain. She is currently working in Finance at Nestlé.